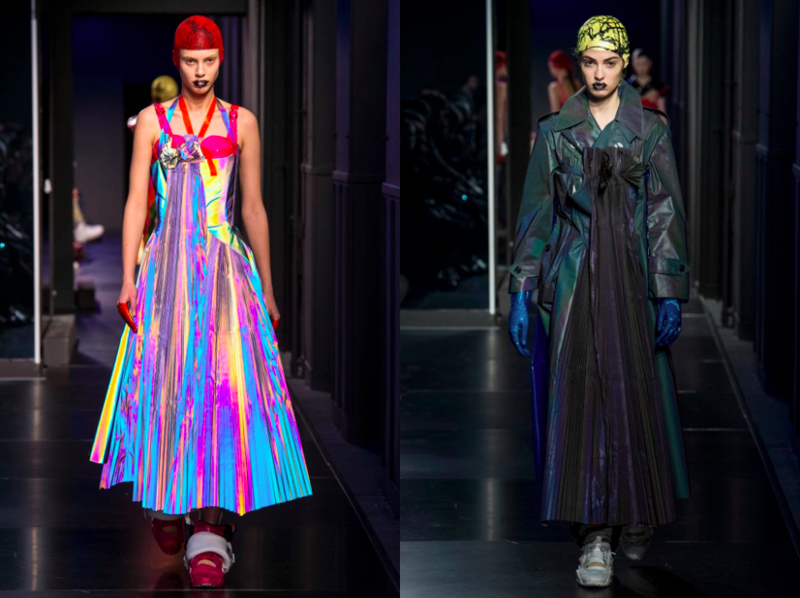 “When I returned to designing, I was taken aback by how everyone was seeing shows through their phones,” John Galliano confessed to the press after the spring-summer 2018 couture show for Maison Margiela. If you can’t beat ’em, join ’em? Well, you can say that Galliano found a compromise for his initial frustration with the Insta-phenomen. A very, very innovative one. The audience members were asked to turn their cameras to flash throughout the show, which resulted in a totally unexpected experience. Everyone captured their own images of fabrics of the high-tech garments as the models walked down the runway. “It’s quite scientific,” Galliano continued. “We recorded every moment of what we were making, then looked at the photographs and altered what we were doing according to the photos.” The reaction of polyurethane to camera flash works magic on holographic material that was layered over polka dots and artisanal chinoiserie jacquards. In other words, what you see in real life, looks (and shines) differently, when you compare it to digital shot of the same piece. Fashion, for goodness sake, is a dream! And Galliano knows that. 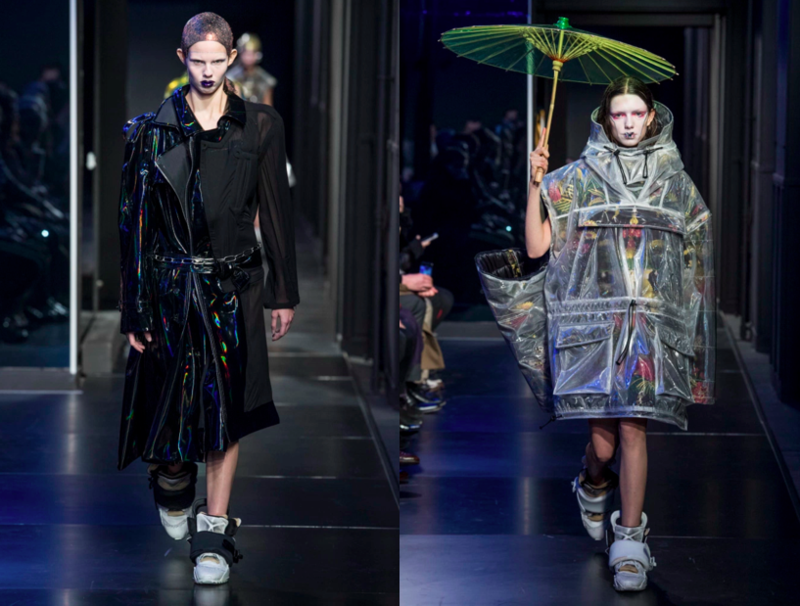 If your pocket isn’t filled with a haute couture budget, it’s just the matter of time when the hi-tech concept hits Maison Margiela’s regular ready-to-wear. 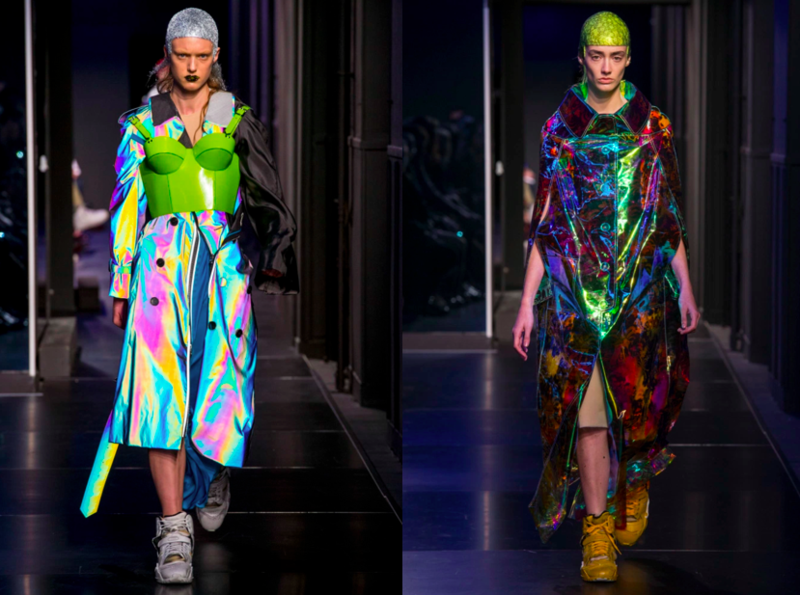 This entry was posted in Couture, Paris, PFW, Trend Reports and tagged Couture 2018, john galliano, Maison Margiela, paris fashion week, pfw, Spring 2018. Bookmark the permalink.